I love finding new ways to use up scraps when I am cleaning up my craft cave. I used some flowers & leaves for this sympathy card. The DSP was perfect size for the middle of the card & I just had to add a sentiment. Here is the latest addition to the family... my daughter recently got a puppy. It is really her puppy (she paid for it after much research), and I am thankful since I am looking forward to doing less since my children are teens now. 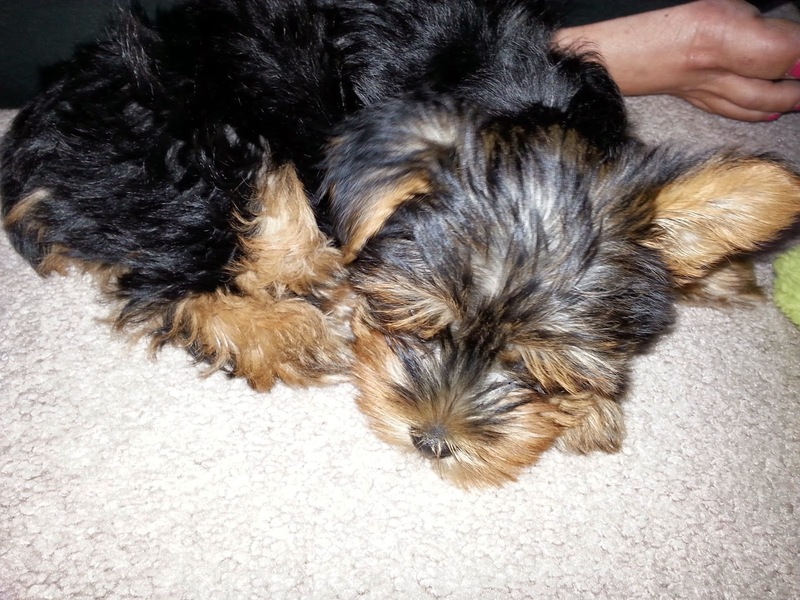 Puppy is a Yorkshire terrier, now 9 weeks old, her name is Haven, since my daughter would like to attend Lock Haven University. Haven is alittle sassy, so catching her like this is few & far between.